years and increase again in the last couple of years. However, what about a newer trend; Circularity in construction? In general we can conclude that the level of demand and implementation of circularity is still low. 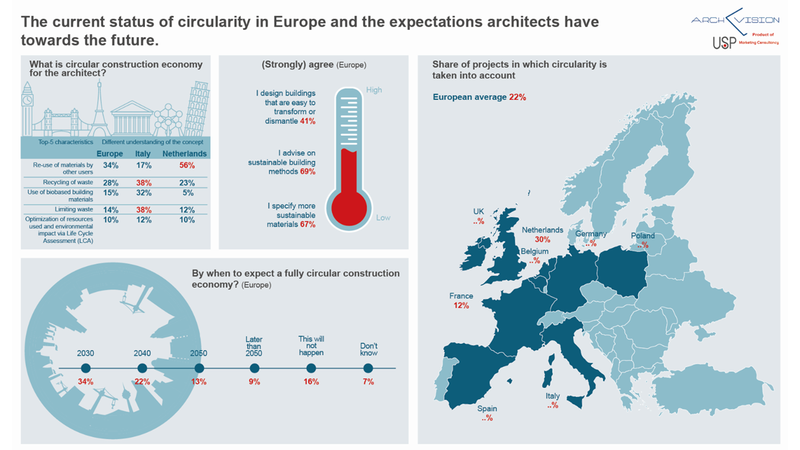 In Europe, circularity is taken into account in 22% of all projects of architects. This differs greatly per country. In the Netherlands circularity is taken into account in 30% of the projects the Dutch architects do, whilst in France this is only so in 12% of the projects. 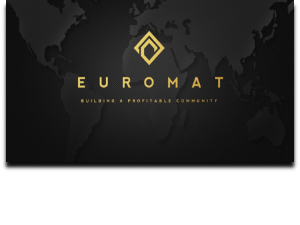 Furthermore, there are huge differences per country, not only when it comes to the demand for circularity in projects, but also what the architects perceive to be aspects of circularity in the construction industry. For comparison, in the Netherlands it is mostly thought to be about the re-use of materials, whilst in Italy architects think of limiting waste/recycling of waste when thinking of circularity in construction. The only thing that is common between the countries is that there is a huge lack of information and product offering from manufacturers. These are the most mentioned pain points in all countries. When it comes to the demand for circularity, this is mostly coming from building owners (except for in the Netherlands, where the national government is mentioned the most). However, the top 5 is different per country. When asked who will be the sector towards more circularity, 43% of the architects mention the government as most important. The full report covers many aspects of circularity, not only the demand and willingness to invest, but also who is driving the demand, for what segments, drivers and barriers and much more. It will be very interesting to see if circularity will lead to successful new business models like supplier buy-back agreements for structural components and product service systems for shorter life cycle items.